When someone asks me what my favorite holiday is, I always tell them Thanksgiving. For me, Thanksgiving is the perfect mixture of friends, family, and food. I have no shame in admitting that I squeal in delight when the beautiful golden-brown turkey makes it way to the table. 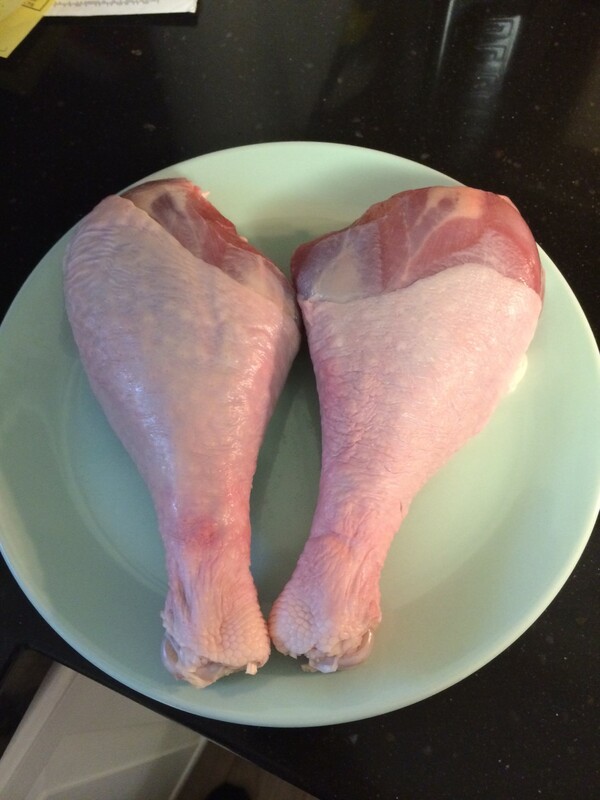 And while many of my family members fight over the white breast meat, I always go straight for the legs. I’m a dark meat type of guy, and nothing channels my inner caveman more than using my hands and chomping down on the leg of a turkey. Now, I am of the belief that there’s no reason to eat roasted turkey once a year. Whenever I’m feeling tired of chicken or beef, I always head to my grocery store in search of something that will change up my protein game for a few days. Some days it’s lamb, other days it’s pork. Yesterday, it was turkey. 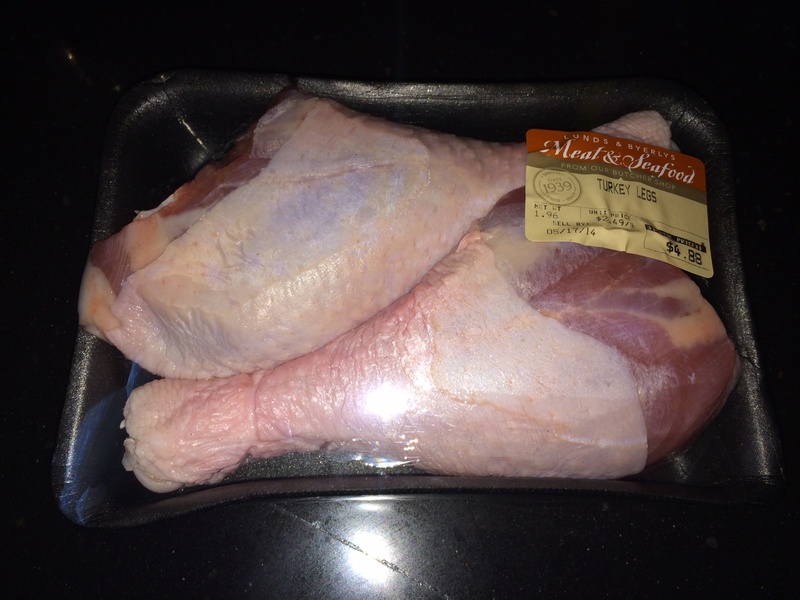 Two beautiful, meaty turkey legs for $4.88. You just can’t beat that! It’s almost $10 to get a single turkey leg at the State Fair, so I knew that I wasn’t going to pass this deal up. 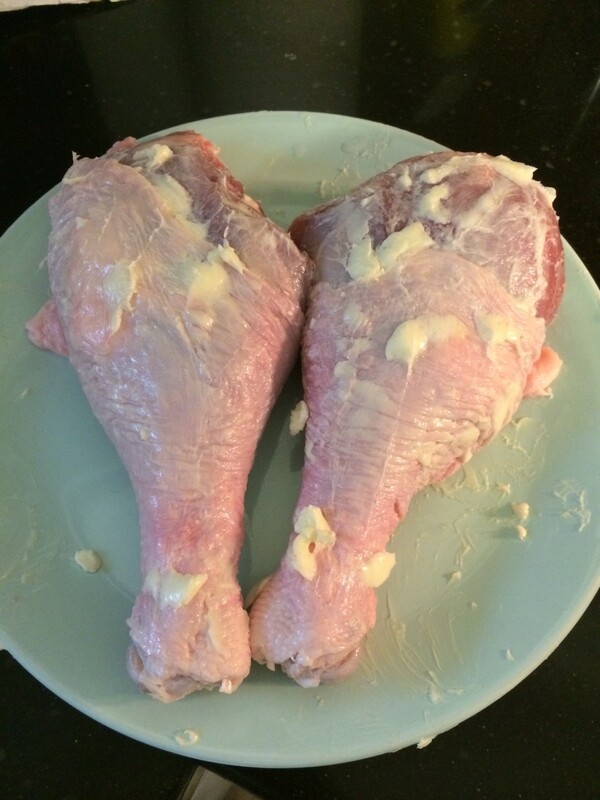 I decided to bring those legs home and cook them for dinner that night. If you’re like me, you prefer recipes that are not only quick and easy, but also effective. Roasting turkey legs is just that – easy and effective. Let’s not make it harder than it has to be. 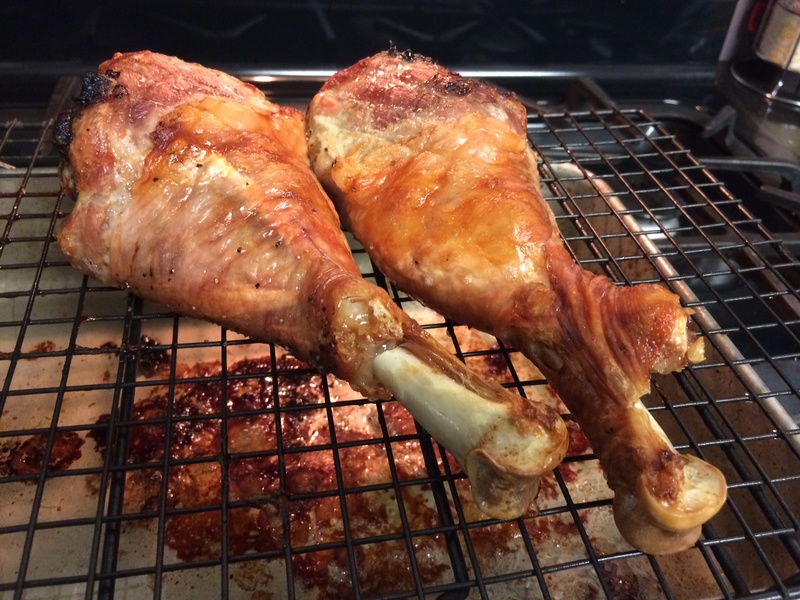 Mmm…golden brown turkey legs with crispy skin to boot! Pro-tip: Use a meat thermometer to measure the heat in the center of the turkey leg, which should be 180F. 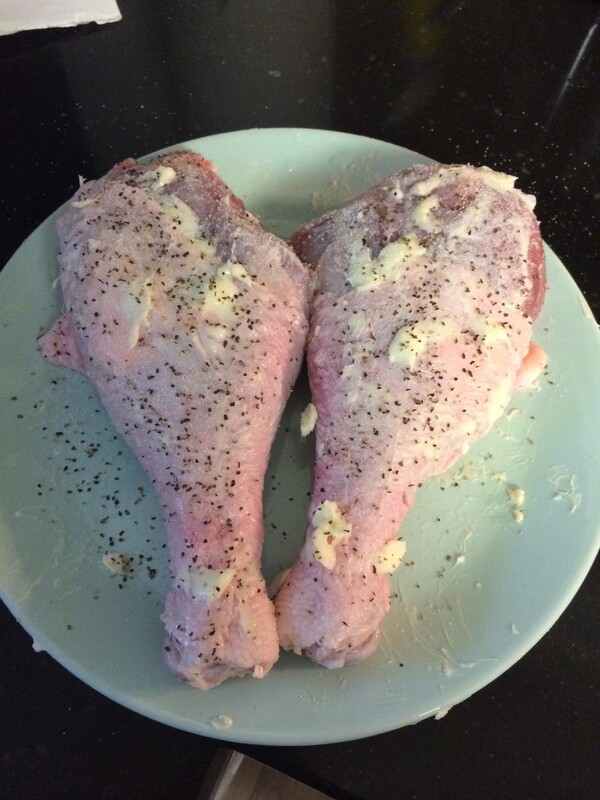 If the center of the turkey leg is not 180F, place them back in the oven for another 10-15 minutes and try again. 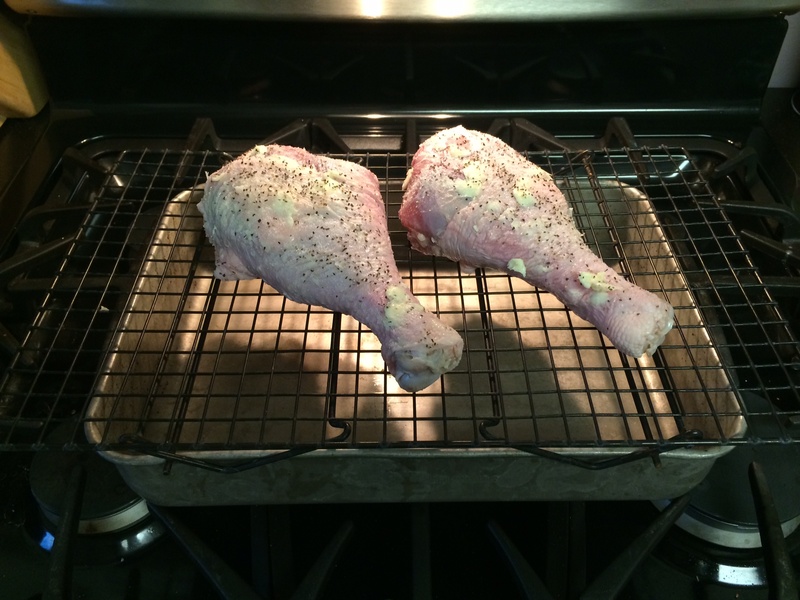 When you do remove the legs from the oven, be sure to let them stand and cool for at least 10 minutes. Not only will they be piping hot, but leaving them to stand before eating allows the juices to redistribute throughout the meat, leaving you with more succulent and tender turkey legs. Now stop waiting for Thanksgiving and go find yourself some turkey legs to roast!